I read a story recently that caught my eye for all the wrong reasons. A 29-year-old Chesterfield woman says she was about to go outside for her break at work when she felt a sharp pain and something wet on her foot. Unfortunately, that something wet was a copperhead snake and the sharp pain was a snake bite. She was rushed to the hospital, and ended up spending three nights there recovering from the snake bite. She received two doses of anti-venom, and she is now in physical therapy trying to recover from her injuries. What's worse is that her company, "The Results Group", is saying that they will not pay her workers' compensation claim. In a statement, they say "[O]ur insurer advised that their position is based on their preliminary interpretation of the facts of the injury as they relate to the State of Virginia Workers Compensation statute." Basically, a round about way of not giving her a reason as to why her workers' compensation claim was denied. Unfortunately, we know all too well that insurance companies often take advantage of workers, even vulnerable ones that have been hurt on the job through no fault of their own. 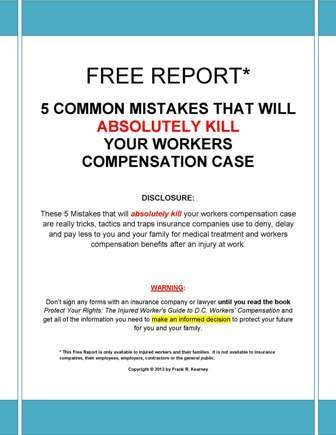 This can even happen if your workers' comp rate was calculated incorrectly - it can lead to getting hundreds less every week, than what you deserve. But, there are definitely steps to take if you are in a similar situation. You can click here to see the three critical steps to take after being denied workers' comp - remember, those decisions are often appealable and with an experienced attorney you can finally get the help you need to recover from your injuries. 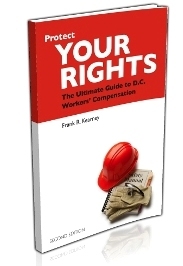 And, the best way to safeguard against that is to Protect Your Rights - and we're offering our book of the same name to injured workers in Virginia, Maryland and DC for FREE, with absolutely no obligation (while supplies last). If you or someone you know was hurt at work, you need information that is going to help you and your family as quickly as possible. Give us a call at 202-393-3320 so that we can get started helping you today.